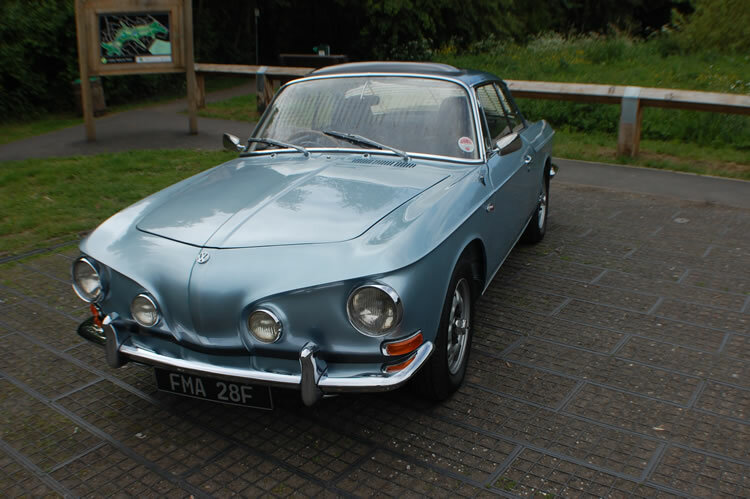 The Type 34 Karmann Ghia closely followed the Type 3 saloon in terms of its year by year changes and technical development. Please note that year normally refers to the model year which runs from August the previous year to July of the model year. 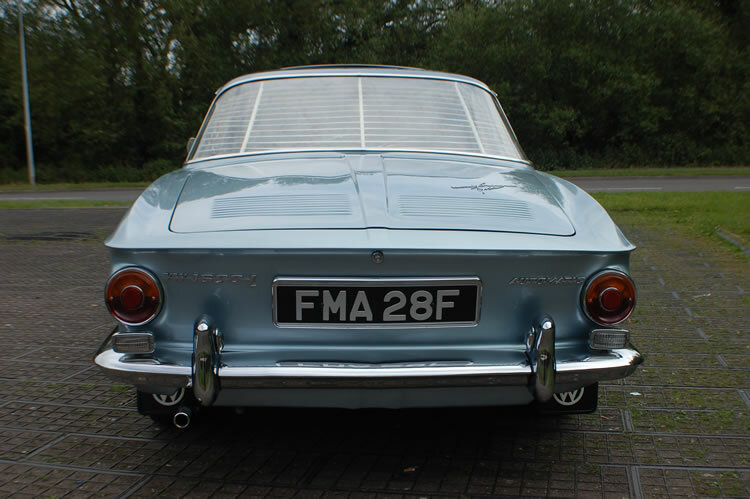 August 1961 / 1962 model year – Introduced with 1493cc / 45bhp engine in left hand drive only. 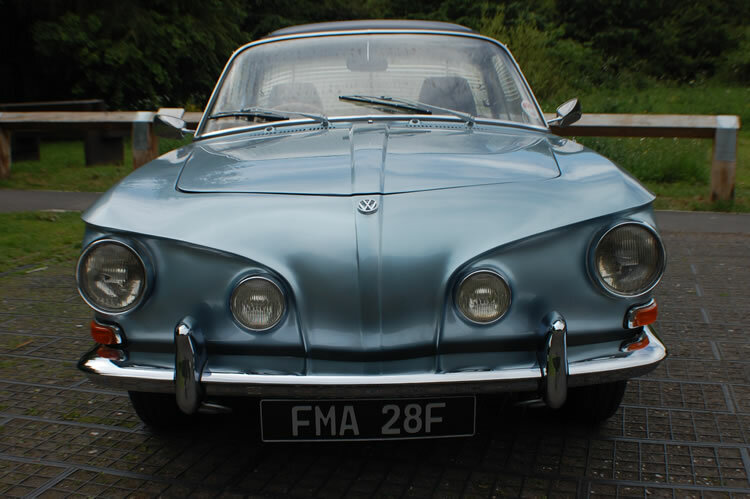 August 1963 / 1964 model year – Right hand drive option, 1500S engine, same capacity (1493cc) but with higher compression ratio domed pistons and twin carburettors giving power of 54bhp. Heater control changed from rotary knob on tunnel to twin horizontal levers between gear stick and handbrake. 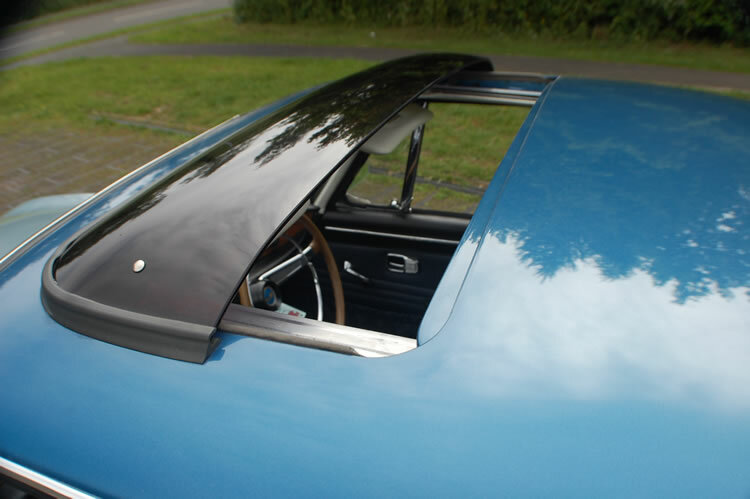 Semi circular horn ring replaced with bar and cloth door panels replaced with vinyl. Round nose badge (as Type 14) used. 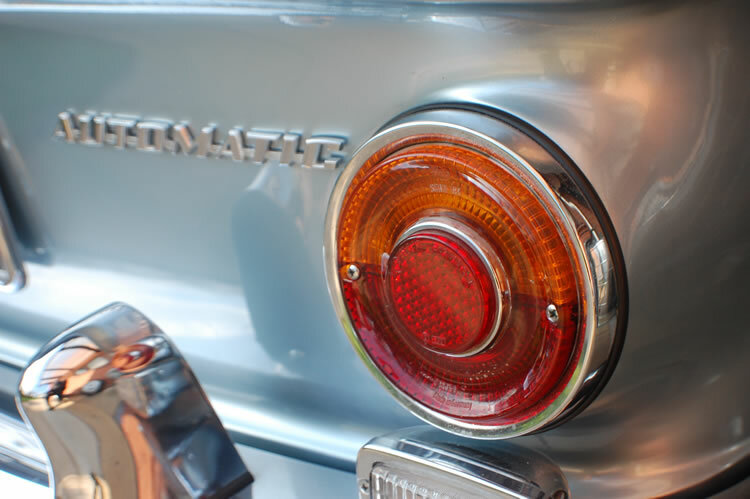 August 1964 / 1965 model year – Semi circular horn ring reintroduced, horns moved from inside spare wheel well to below front bumper. 2 speed wipers replace variable speed rheostat. August 1965 / 1966 model year – 1600 (1584cc) engine introduced, but with reduced compression ratio and same 54bhp output. Front disk brakes, 4 bolt wheels, reshaped door armrests, vanity mirror on passenger sun visor. Corded carpets in place of rubber mats. 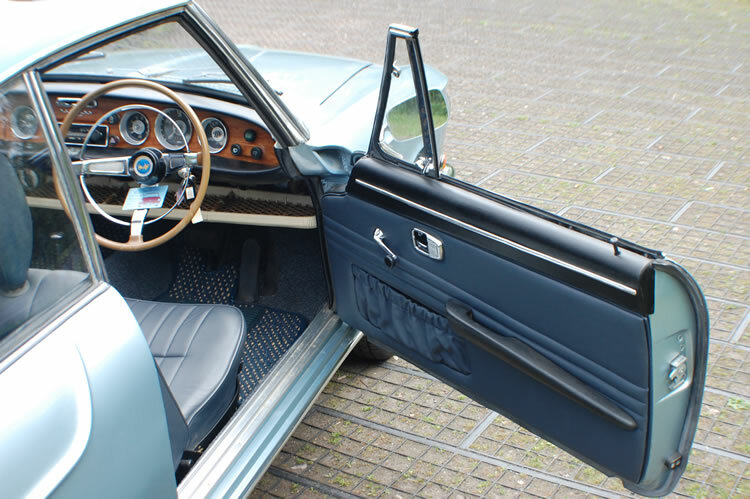 August 1966 / 1967 model year – 12 volt electrics, dual circuit brakes, safety interior mirror all as standard. 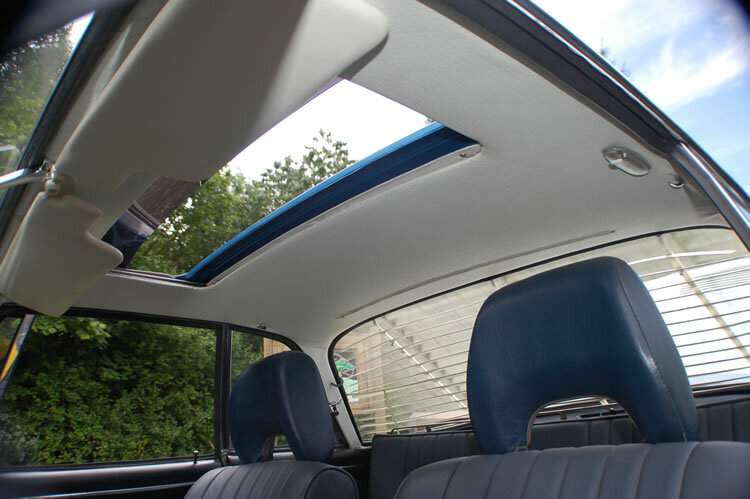 Option of a heated rear window added. Front seats modified to give better support and door lock now knob on top of door shoulder. 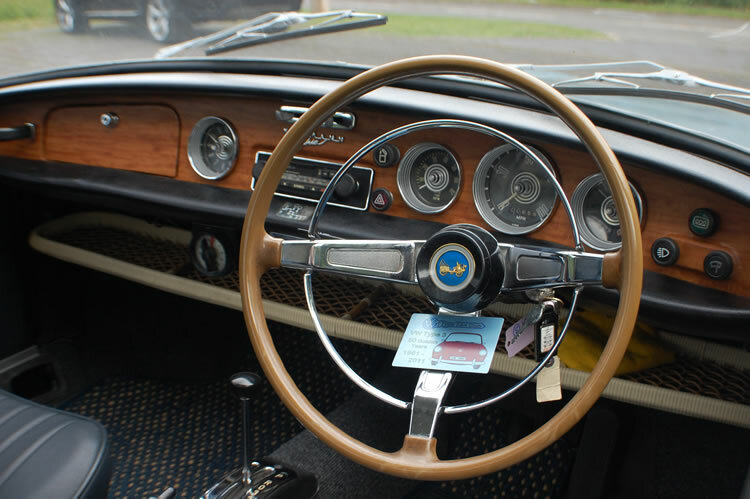 Dashboard covered in plastic wood effect veneer with black safety switches. 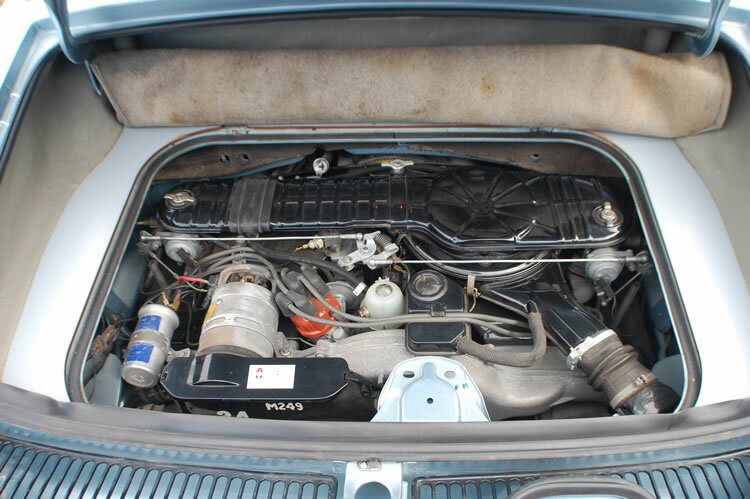 August 1967 / 1968 model year – Engine fitted with twin port cylinder heads. 3 speed fully automatic transmission option (with IRS rear axle), collapsible steering column, larger rear view mirror, matt finished horn ring. 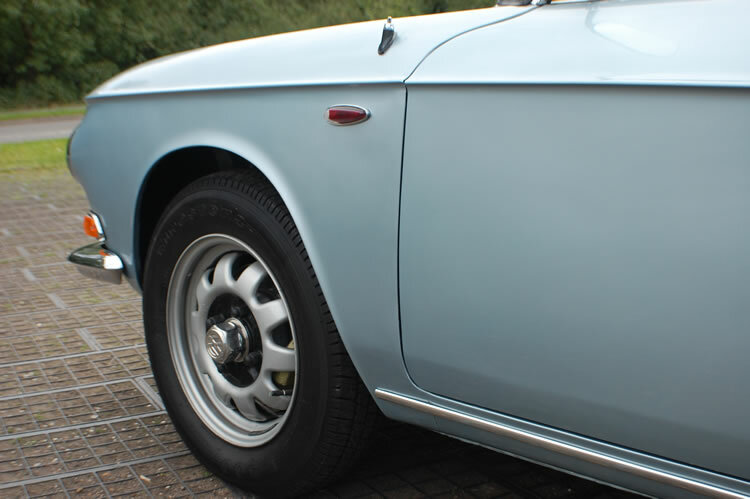 Although Bosch electronic fuel injection became available on the main Type 3 range, it was not fitted to the Type 34. August 1968 / 1969 model year – IRS rear suspension fitted as standard. Slimmer rear light bases with projecting lenses for better side viewing and hazard warning lights fitted.